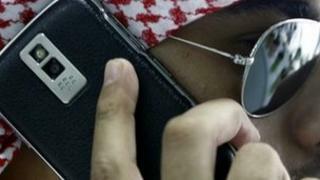 Blackberry services have been restored in Saudi Arabia, reports say. A ban on the use of the device for sending and receiving messages was due to have come into force. And locals said the handsets had stopped working for four hours. But there is no sign yet that the ban has been lifted. Earlier reports that Blackberry manufacturers RIM (Research in Motion) had found a solution to security issues raised by local authorities cannot be confirmed. "Services are up and running again across the country," he confirmed. "But inevitably, that raises more questions than it answers. If RIM did grant Saudi Arabia access to its security codes, other countries in the region would now expect the same. "The UAE - which is threatening its own ban by October alongside Algeria, Indonesia and India would all be expecting similar deals." Dubai-based British businessman Nazar Musa said that had been a lot of local interest in the issue. "There's been an awful lot of discussion and debate about the Blackberry issue," he told BBC News. "Clearly as a centre of regional business and with links and ties to the rest of the world the use of Blackberry services is vital." He added that there had been "limited concern" expressed on chat rooms about the desire of the authorities to access the data itself. RIM has been contacted by the BBC. In a statement earlier this week a spokesperson for the company said that the devices were deliberately designed to prevent anybody from accessing individual message data, which is stored on servers in Canada. "RIM cannot accommodate any request for a copy of a customer's encryption key, since at no time does RIM, or any wireless network operator or any third party, ever possess a copy of the key."